Shown in Oak with slider. 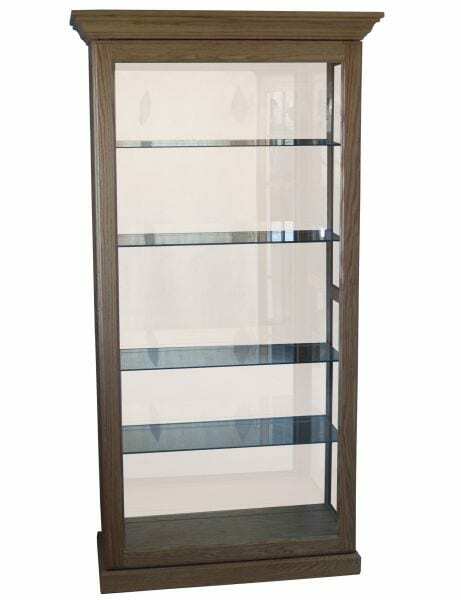 Standard Features: Glass shelves, tube light, mirror back, slide to right. Options: Wood shelves, wood back, beveled glass, can light with touch switch, slide to left.